Carla drove our white minivan down Oak Road toward Snellville as I sat in the passenger seat, dreading the cost of the repairs to our 11-year-old Volvo station wagon. Then she ventured to bring up a subject that interjects stress into all marriages. Specifically, how we could increase our household income to be able to better absorb unforeseen expenditures and live debt free. 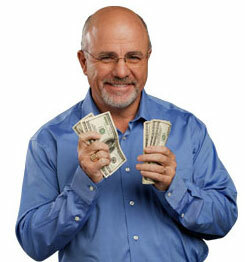 Next time Dave Ramsey starts handing out cash, we need to be in that line. I’m no Dave Ramsey, but increasing revenue seems pretty simple on the surface. I rambled for a few minutes about the possibilities of freelance work or looking for another job, but she wanted to discuss the idea of going back to work outside of the home. Like the phases of the moon, this conversation resurfaces cyclically, but unlike the moon which influences tides, this reoccurring phenomenon is connected to the ebb and flow of our cash. Carla is a capable, well-educated woman with skills and experience that would be employable in the marketplace. For the past 9 years, she has chosen to concentrate on managing our household and raising our three boys. I am grateful for her choice. As we talked about the benefits and challenges of her returning to work full time, I couldn’t help but hear the “mommy wars” playing out in our discussion. 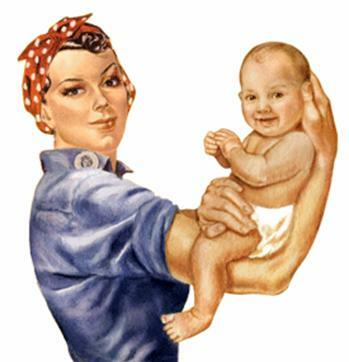 Forgive my generalizations, but women who choose to work outside of the home tend to be defensive about how much time they spend with their children. Women who choose to not work outside of the home tend to be defensive about how they spend their time period. I know that men are just as capable of making the choice to work in the home so their wives can work outside of the home, and I have several friends who have made that choice. In our situation, it just so happens that right now we are following the more traditional scenario in which I am the one in the workforce. Working moms face a lot of pressure. My own mother worked while I was growing up, taking time off to be with each of her three boys for a couple of years or more when we were born. Her career as a computer programmer then high school math teacher was interrupted several times, but each time she was able to find a good job and land on her feet. That’s the model I am used to and perhaps even unconsciously assume could work for us. When Carla gets ready to go back to work outside of the home, she will have no trouble. But she still struggles with a sense of identity and self-esteem that comes from getting dressed up, going to another location, working hard and being rewarded for her effort with compensation and affirmative words. The rewards of being a stay-at-home mom are often less tangible. All moms work. It's just a matter of location. But moms who work in the home face a lot of pressure as well. When the economy takes a downturn and your health insurance premiums eat up any cost of living increases you get over the course of several years, all-the-while your children are growing up and your overall living expenses increase, moms can feel like they need to contribute financially to the bottom line. The question women face of “to work” or “not to work” outside of the home has been with us for decades, but it does seem to have higher stakes in the New Economy in the New South. Having two incomes feels necessary to survive. I tried my best in the span of the 10 minutes left on our car trip to affirm Carla’s choices. I don’t miss the things we can’t afford because we live on one salary, and I enjoy the order, organization and overall tranquility her presence at home provides. We are just now entering that phase of life when our children’s activities have us going different directions during the week. This will only get worse for the next few years. Our need for flexibility will only grow as we have multiple kids involved in Scouts, music lessons of some variety, sports or other school activities. So are we the only ones who struggle with this? Do you question whether or not you should be working outside the home? Have you contemplated going back to work? What was your reasoning? How do you balance work outside of the home with family time? Take a minute to share your experience. This entry was posted in Uncategorized and tagged car repairs, contemporary South, Dave Ramsey, family, financial stress, Lance Elliott Wallace, Lance Wallace, mommy wars, mothers, New Economy, New South, New South Essays, NewSouth, parenting, raising a family, revenue, South, Southern, Southern Culture, Southern Living, Southerners, the South, Volvo, working moms, working outside the home. Bookmark the permalink. First, I must say that I LOVE that you still have a grocery getter :). Second, this is a conversation we revisit as well. Thanks for sharing your thoughts. Once again, Lance, you posted an enjoyable and thought provoking blog. I always enjoy reading your posts. I believe that every family has to choose what works best for them, at that time in their lives. All choices have positive and negative consequences. It is your ability as a family to weigh those and decide how to move forward. When I decided to return to work, we sat down as a family and discussed the impact of my choice. Collectively, we agreed it was the best move for me to take the opportunity on the table. In addition, as a couple, we have an ongoing “5, 10+ year plan” for our family. It’s hard to believe that we’re at a point where that 10 year plan involves a child in college, which changes the dynamics of our conversations a great deal! I struggle with this often, ESPECIALLY in this economy and already having gone through a job loss. The time I get to stay home and help our child through elementary school and be involved myself is paying off ten-fold. I am on top of all that is going on and am able to be there immediately as needed. The downside is we really live tight. But I am learning to embrace that too. Not everyone gets to choose, some would not make it on one income anymore. I am blessed to get to choose and double blessed by the support of my spouse to do so. It is definitely a blessing to get to manage your home and raise your children without the burdens and lack of flexibility that comes with a job outside of the home. Having had both experiences, I truly believe you can be a good parent either way, but now that I have a full time job again, I continually battle with the guilt involved with role stereotypes, a lack of flexibility to always be there when my kids need or want me to be, the cleanliness of my house, the seeming chaos that always seems to exist now… We do make choices and unfortunately as a society I think these battles exist because we have created them ourselves! What to do? Absolutlely no idea other than the best I can under the circumstances!